On the edge of the Pareloup lake, Le Caussanel campsite is a genuine village rich in activities and colours. This 5-star campsite in the town of Canet de Salars is located in the Aveyron area, around 10km away from the villages of Pont de Salars and Salles Curan. In peak season, the Le Caussanel campsite is ideal for families with its children's club, play area, mini farm, and activities. 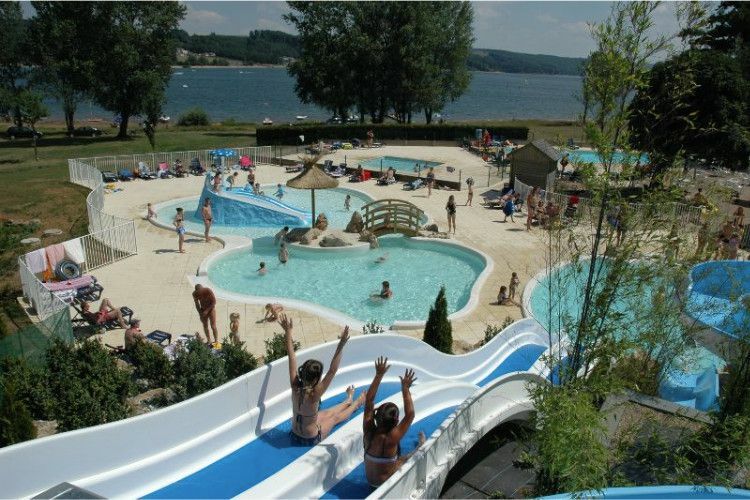 As well as that, with its prime location by the Pareloup lake, this campsite also has a swimming pool with water games, a paddling pool, and water slides. Elsewhere on the campsite, sporting tournaments are organised on a regular basis which take place in its multi-sport arena. Don't forget to bring a ball, table tennis bats or other equipment to be able to make the most of the site's facilities, which include a beach volleyball court, pingpong tables and areas in which you can play boules. 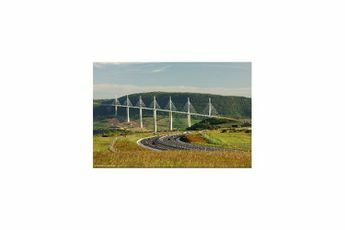 The Caussanel campsite is located at the heart of Aveyron, by a 1200ha lake, perfect for water-based fun such as swimming, fishing, and sailing and it also offers a beautiful backdrop for hikes. Lastly, discover the area in a different way thanks to the campsite's partners. Cycling outings, zip wires, rock climbing... it's up to you! 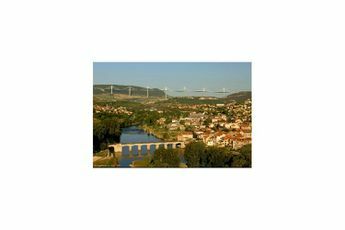 Nearest town Pont de Salars (10 km). 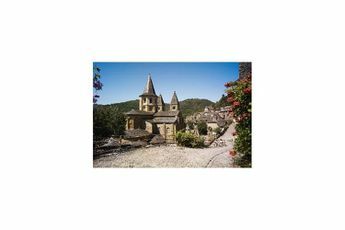 The Aveyron, an area of contrasts, invites you on a voyage. Visit Rodez and its cathedral, the temple cities at the heart of the Regional Park of the Grandes Causses or the "Grands Lacs" lakes of Lévézou. This area of a hundred valleys will please hikers, whilst children can take part in the discovery of the mysterious world of Micropolis, an Insect City. Choose to book a mobile-home at Le Caussanel campsite and explore the joys of the Midi-Pyrénées region! Amazing surprises await you.